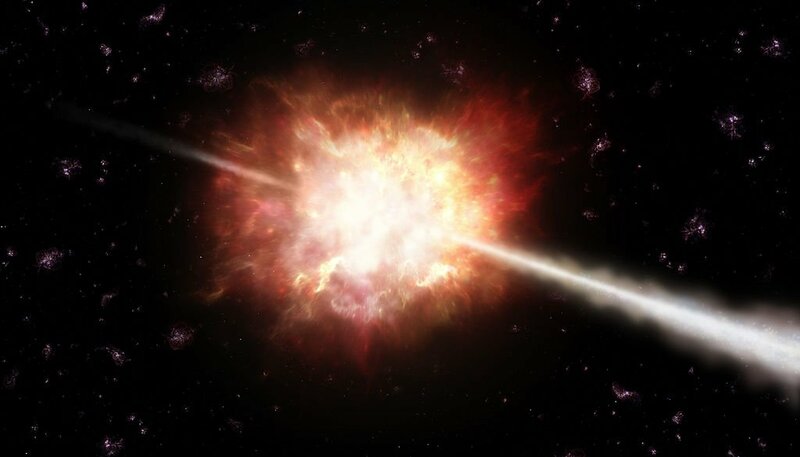 What Is A Gamma-Ray Burst And What Causes It? What’s the first thing that comes to mind when you read or hear the term ‘gamma rays’? If you’re a die-hard admirer of the superhero realm, then you’d instantly associate gamma rays with the The Incredible Hulk. The Hulk, a popular giant-superhero, got his superpowers after being accidentally exposed to gamma rays. However, if you’re a physics nerd, then you’d say that gamma rays lie on an extremity of the electromagnetic spectrum, and are the most energetic waves that we know. 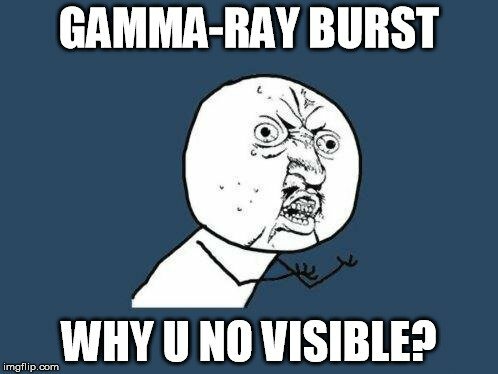 And if you’re really into space and astrophysics, then you have surely heard the term ‘gamma-ray burst’ quite frequently. For those of you who don’t know about these phenomena or have absolutely no idea what it’s all about, let’s start with the basics. Gamma rays are a type of electromagnetic radiation that is released upon the radioactive decay of an atomic nucleus. You see, an atom consists of a nucleus, which contains protons and neutrons. In most naturally-occurring nuclides, the configuration of these sub-atomic particles is stable. However, in some atoms, the energy that holds these particles together (binding energy) is not strong enough, so the nucleus becomes unstable and starts to lose protons and neutrons in a bid to attain stability. This is also accompanied by the release of some kind of radiation. 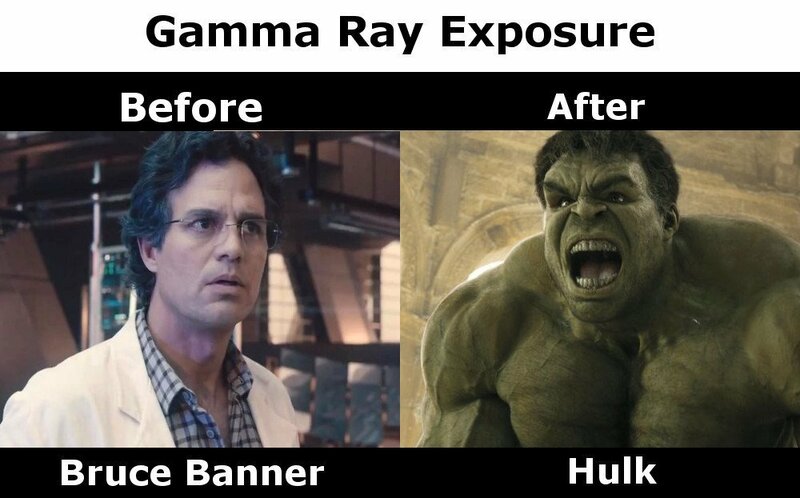 Gamma radiation is one such type of radiation that follows radioactive decay. Like any other electromagnetic wave, gamma rays consist of numerous tiny packets of energy called photons. Now, photons come in a wide range of energies. 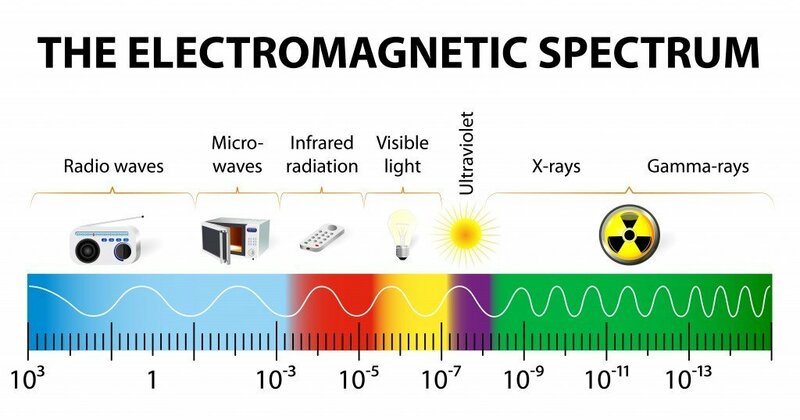 The waves that contain the lowest energy photons are called radio waves, and all telecommunication systems in the world rely on them in one way or another. Gamma rays, on the other extremity of the spectrum, have high-energy photons. These rays have a high penetrating power and, since they can ionize other atoms, they are very dangerous if you are directly exposed to them. As the name clearly implies, a gamma-ray burst is a high-energy explosion that occurs in space. Commonly abbreviated as GRB, these are the most powerful blasts in the cosmos, and the dazzling flash of gamma rays fills up our sky at least once every day. GRBs can last for as little as a millisecond to as long as a few minutes. The location and time of the occurrences of GRBs can never be predicted. 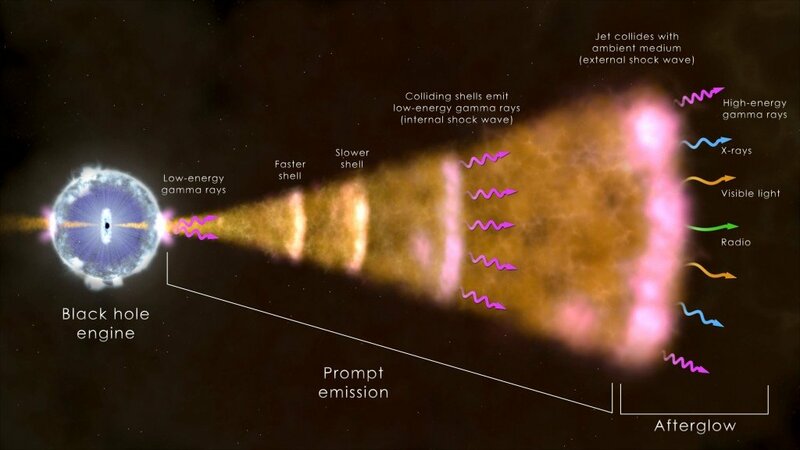 Now, the most notable thing about a gamma-ray burst is that it is insanely energetic. They’re so powerful that even supernovae appear weak in comparison. To get some idea of the amount of energy we’re talking about here, consider this: the amount of energy that a gamma-ray burst generates in 10 seconds is more energy than the Sun will emit in its entire lifetime! Why don’t we see GRBs with naked eyes? As mentioned earlier, gamma-rays bursts occur at least once every day. Yet, given the fact that they’re so powerfully explosive and their flashes appear in the sky, why don’t we actually see them? We can’t see them because gamma-ray bursts consist of gamma rays, which belong to that part of the electromagnetic spectrum that we cannot see with our naked eyes. In fact, we are blind to almost the entire spectrum, except for a very small range of light that we refer to as “visible light”. That’s why we cannot see gamma-rays bursts with the naked eye. 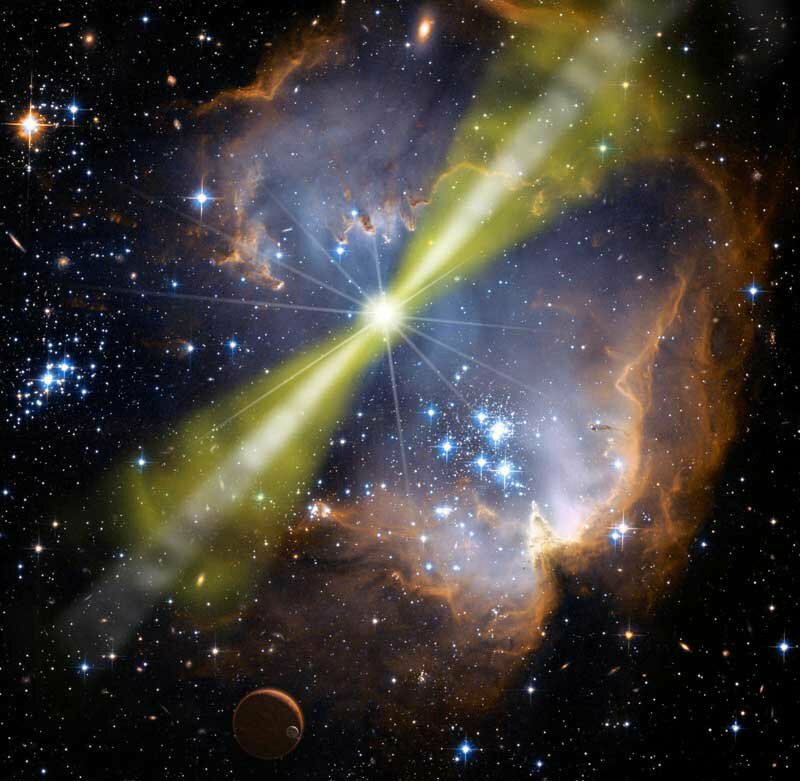 Why do gamma-rays bursts occur? There are a few hypotheses that attempt to explain the reason behind the occurrence of gamma-ray bursts. One theory argues that GRBs occur as a result of collisions between neutron stars (collapsed cores of humongous stars). Another hypothesis proposes that they are the result of a merging between a black hole and a neutron star or the merging of two black holes. Another hypothesis that has been getting a lot of attention proposes that a gamma-ray burst occurs when the material from a hypernova (which is at least 100 times more powerful than a supernova) hurtles towards Earth at the speed of light. 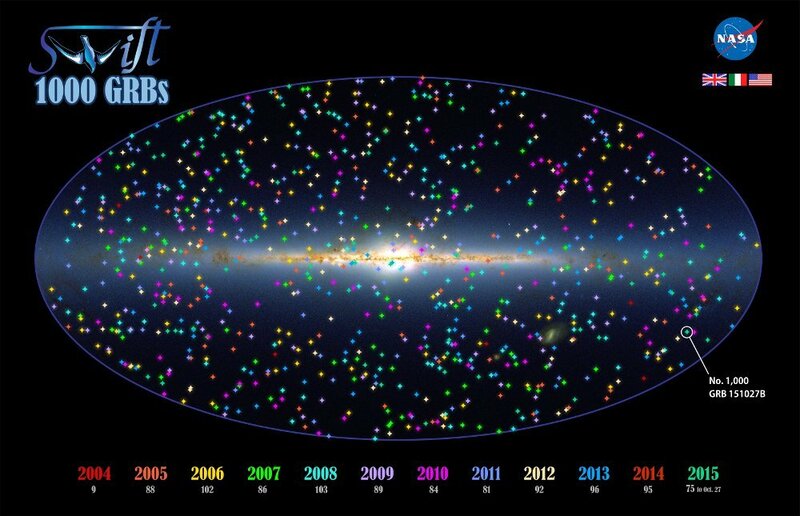 The Swift Gamma-Ray Burst Mission, an unmanned spacecraft launched in 2004 by NASA in a bid to study the gamma-ray burst/black hole connection, has been in orbit for more than a decade and has spotted more than 1,000 GRBs since its inception.